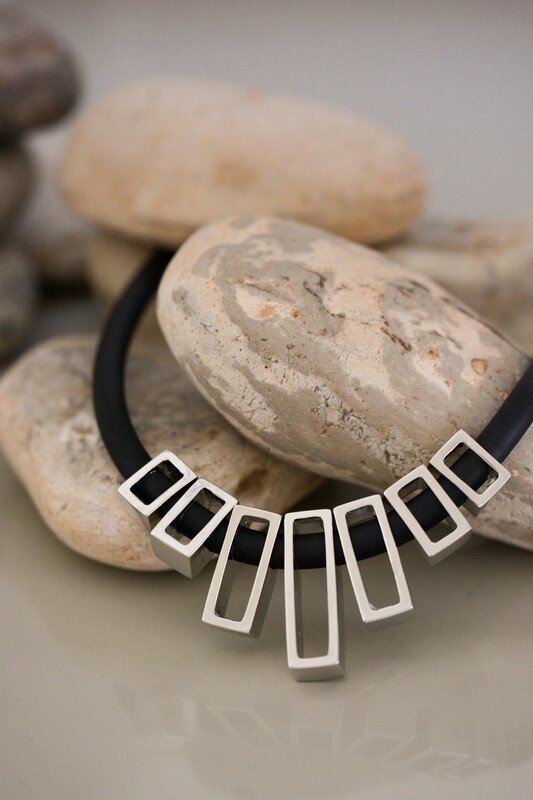 Made from black rubber and silver color plated metal, this crown-type necklace adds a delightful pop to your outfit. The different sized rectangular elements certainly draw attention. Different sized rectangular metal pieces join together to create a crown-type necklace that adds a delightful pop to any outfit. 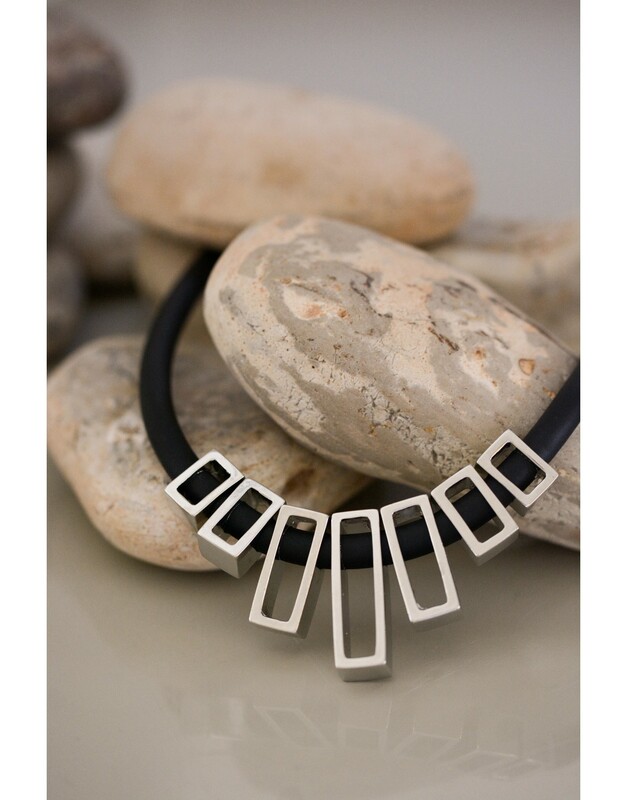 Made from black rubber and silver color plated metal, this necklace is designed to draw attention to your style and is a standout addition to any collection.